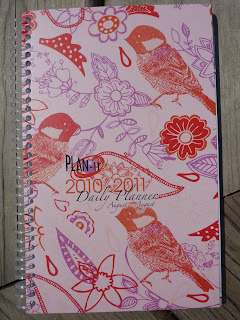 Plannerisms: Looking for a 2011 planner? Are you searching for the perfect planner to guide you through 2011? Hopefully I can help you in your search! The first thing you have to decide is whether you want a bound-book style of planner or a loose-leaf binder system (like Filofax etc.). Here is my post Planner Preference: Ring Binder vs. Bound Book to help you decide. Here is a list of reviews I have done of 2011 planners, with some suggestions to help you figure out what you need and want from your planner in the coming year. If you want a sleek, classic style planner that suits many needs in many circumstances, check out the Moleskine planners (here is my review of the Large Daily and Vertical Weekly Moleskine planners). If you want a similar style to the Moleskine but with all seven days as vertical columns and space for notes in a portable size planner, then it's the Leuchtturm medium weekly planner you want. If you want a very small, portable planner (perhaps as a companion to your smartphone) then you want the Moleskine Extra Small planner (in daily or weekly format). If you want a portable planner with a pretty cover, large weekly view, and monthly calendars across a two-page spread with the months EMBEDDED in the weeks (a very hard-to-find format!) check out the Plan-It Planners. Click here to see my review of the academic year version. 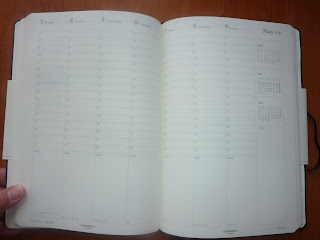 Click here for the 2011 January-December planners. If you are very busy and need lots of space to write each day and need to write task lists on your weekly pages to see everything you have to do and when you have time to do it all in one view, you can't go wrong with a Quo Vadis Trinote or Minister planner. Click these links for my reviews of the Trinote and Minister, links below go straight to the Quo Vadis product pages. If you have lots of recurring events each week and/ or month and are tired of re-writing them each week (because sooner or later, you'll forget to re-write and something will slip through the cracks) then hurry to order your 2011 WeekDate planner before they sell out! Its unique format allows you to "Only Write It Once" as the brand's logo says. 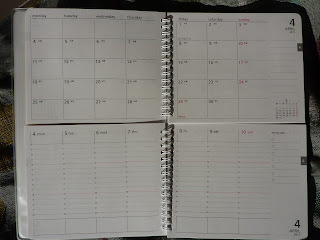 Click here for my review of the 2011 WeekDate weekly planner. If you want to keep track of your and your family's schedule while having fun and learning interesting facts in a weekly-changing planner, check out the Dodo Pad diary (which comes in various formats and sizes including desk, mini, wall, and Filofax inserts). 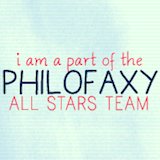 Click here to read my review of the 2011 Dodo Pad A5 Filofax insert on Philofaxy. 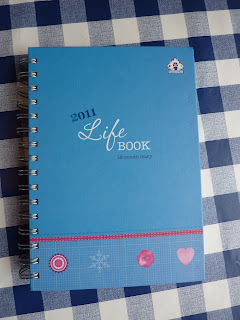 If you want budget sheets, menu planning, shopping lists, holiday planning and more incorporated in your weekly planner, take a look at the Life Book by Organised Mum. All of these planners, believe it or not, I actually own so if you have any specific questions about any of these that I didn't cover in the reviews, post a comment and let me know. I'd be happy to help you sort through the piles of options and help you find the right 2011 planner for you! Of course there are loads of other options besides those listed here, but this selection will get you started or maybe show you some options you hadn't considered before. 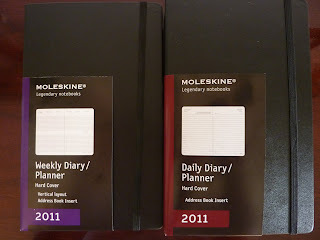 Good luck reaching your own personal Planner Nirvana in 2011! For those of you who have already decided what planner you will use next year, please post a comment and tell us what you've chosen! I think I like the Trinote best, although the WeekDate planner looks gorgeous with the colours and setup. For me at this point, though, the simpler the better, or my overactive mind gets aggravated. LOL Christine! Actually, the reason why I chose these planners in particular is because these are actual 2011 planners that I have reviewed, still have in my possession (I have given one 2011 planner away and so have not included it in this list) and that are still available to purchase (which is why I didn't include my 2011 Rabbit planner, because it is sold out). 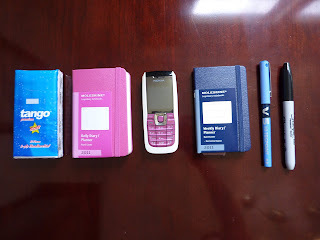 I could have included 2010 planners that I have reviewed, but without the 2011 versions in my hands I can't guarantee the features and designs would be the same from year to year. By all means, take a look in my sidebar labeled "Browse Planner Brands and Formats" for more ideas for your 2011 planner! There's loads of excellent planners over there. Update: I got an email from Ginko Papers that the Rabbit planner is back in stock! So I have edited the post to include this awesome planner. 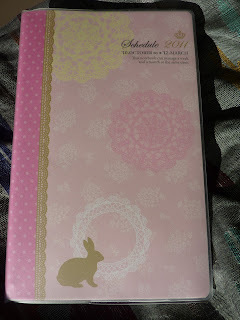 I was wondering why you did not include the Rabbit planner in the original post..LOL. My other choice if the Rabbit turns out to be planner fail would be the Leuchtturm medium weekly planner, but I can't find it anywhere?? I also found this one, really simple, but I like the format. Before I saw this planner, I was hacking one of my regular notebooks and drawing boxes just like this for the weekly views...LOL. 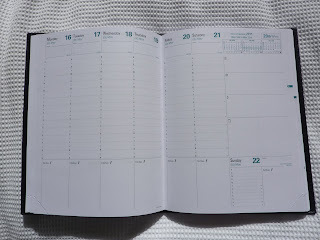 It is from Redstar Ink: http://redstarink.bigcartel.com/product/twenty-11-planner. 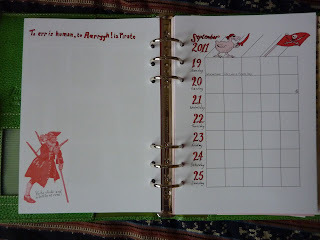 WOW, I really like that Redstar planner! I love the months with an entire page for lists, and the space for lists each week and every day! I'm definitely a list-maker, so this really appeals to me. I don't know where the Leuchtturm planners are available in the US. You might contact Leuchtturm to ask if there is someplace you can order them? Redstar also has an undated version!! 2. Clean page layout-- I need to create sections for each day and the Moleskine gave me the most room to write in. The other planners that came close had thick borders, huge fonts or other doo-dads I didn't need which took up too much room on the pg. 3. The price was reasonable-- $15... I saw others that were over $30. Hi Laura, I just asked on another post's comment (before I saw this one) which Mole you'd chosen for 2011. I agree I really like the clean page layout in the Moleskine, nothing to clutter it up or interfere with your system. Do you mind telling us what sections you create for each day and how you line them out? I'm curious how you structure your day spaces and am thinking of doing something similar. Thanks! 1. TOP-- Here I put my daily to-dos. I actually separate this section into quarters and mark them as Morn, 12:00, 3:00 & 6:00. This adds structure to my day. Certain tasks are for the morning, others for the afternoon & still others for evening. 3. BOTTOM-- This section is for random notes &/or journal entries. My system is one that emphasizes tasks/to-dos & not appointments or events. Keeping a detailed calendar is less important than making sure I get certain goals done each day. 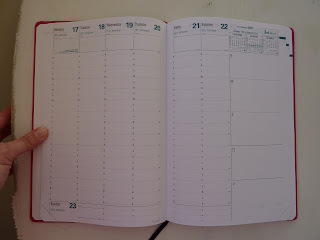 I don't have an appointment heavy life so don't need a daily planner that enphasizes hourly appointments. The great thing about the Mole is that the hours are very subtle & can be ignored.... I think you've pointed this out in your past reviews. Any appointments I might have are noted in my monthly calendar (in past planners calendars have been printed separately & glued to the front) & then noted on the very top section of the appropriate day. No matter what planner I use I know I have to customize each day. By switching to a commercial planner it means I don't have to glue in a calendar each month or write out the date each day-- less stuff to do. Laura, thank you for telling details of how you use your daily pages! I REALLY like this system. I also have lots of tasks but not many appointments per day, and I like your method of blocking out the day. I too have lots of tasks that need to get done morning/ afternoon/ evening but not at a particular time. I like the flexible structure of your system. And yes I love how the Moleskine's daily pages just look like a notebook page and the times are easily ignored, so you can choose to use them or not. I would love to see photos! Congratulations on your weight loss!!!! That is very inspiring! I need to lose some weight, but mainly I need to get exercising so I'm incorporating that into my planner. Big fan of your blog, and I love your passion for all kinds of notebooks. I cannot decided between WeekDate and Septanote/Trinote. I missed a final exam last quarter, because I wrote the date in my monthly, but not my weekly calendar!!! Which is why I'm thinking Weekdate, but it's $$$ and does not have hour by hour planning. I love hourly planning, because it let's me see what I accomplished in one day, and I can plan out studying, cooking and even napping! I'm in medical school, so I have very little free time. I am currently using the Unlifestyle Planner, but it's not for me. 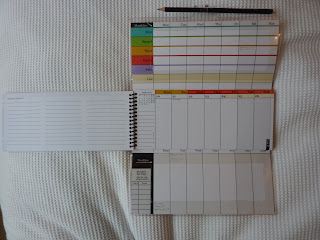 If you've never used it, I could mail it to you to try after I get my new planner. Thanks for reading my blog, I'm glad you like it! They are good planners, but either you "click" with their way of doing things or you don't. WeekDate does have the advantage of only writing it once. But that aside, it may not be so easy for you to plan out your day by the hour because look at the top column for the day's specifics and at the bottom column for each day's recurrent events. It doesn't let you see each day chronologically. If you like to plan by the hour, I think the Trinote (if you want to start it now) or the Septanote (same thing but starts in August) would be great for you. They are the same size book, have plenty of space to write each day, you can block out time by the hour and write non-time-specific things in the daily Notes space. The list boxes can be re-labeled if you wanted to designate a box for each class, or for school/ work/ home, or any topic you need. For loads of photos and my going on and on about the Trinote, just type in Trinote into the Search bar and you can see all about it.